If you are looking for a job on the Isle of Arran, you will find our current listings across the different professions, trades and service sectors listed below. Our mission at HIJOBS is to show you a range of new jobs and we continually update this page to make sure you don’t miss out on any of the opportunities this amazing island has to offer. Whether you are exploring a career change or hoping to make progress along your current path, we are here to help you find a role to suit your needs. Below you will find the current jobs on Arran with an abundance of public sector, healthcare and tourism opportunities. Our filters will help to focus in on the types of jobs you are looking for and our careers section will guide you through the application process to make it less daunting. Take a look at the HIJOBS application advice pages for some tips on how to get started. We hope you find your perfect job on the Isle of Arran. Read more about living and working on the Isle of Arran. Arran has the title of ‘Scotland in miniature’ as it is said that on this, the largest island in the Firth of Clyde, you can see an example of every type of landscape from Lowland to Highland. It is also known as a geologists’ paradise but, while they wax lyrical about the Highland Boundary Fault running across the island, those of us who wouldn’t know an intrusive igneous landform if we saw one just appreciate the stunning scenery, the splendour of Goat Fell, the island’s highest peak, and the amazing shoreline, sea views and beaches. Needless to say that a lot of people love Arran and want to come and enjoy the island so the resident population, which hovers around 5,000 swells considerably in the summer. The mild Atlantic climate means that the island has an extended tourist season thanks not just to its beauty but what it has to offer, which is good news for the hospitality trade. The nearness of Glasgow and the rail and motorway network on the mainland and Prestwick and Glasgow Airports brings the tourists to Arran but also works in the islanders’ favour when they want the bustle of a big city with its shopping and entertainment. One glance at the island’s newspaper, The Arran Banner, will show you what an amazing, sociable, community-minded and family-oriented place this is to live and work. Arran is geared up for tourism right across the spectrum: award-winning luxury accommodation and fine dining for those seeking pampering right through to hostels and campsites and takeaways for the walkers, climbers, mountain bikers and kayakers. This means a thriving hospitality industry with work at all skill levels. The island also has a brewery and distillery. The Isle of Arran is within the North Ayrshire Council area and secondary education is provided on the island at Arran High School at Lamlash with seven feeder primary schools; needless to say that class sizes are small but the children have plenty of opportunities to meet up and make friends through the amazing amount of clubs and activities on the island and they travel to events on the neighbouring mainland as well. If you prefer to work outdoors then there is plenty of work keeping this island looking pristine: farming, forestry, public and private sector maintenance all have a wide number of jobs on offer. A large part of Arran’s appeal to tourists is its outdoor activities with plenty of opportunities on boats, transport and golf courses. Arran is served by two ferry ports, the main at Brodick and Lochranza and is served by Caledonian MacBrayne. 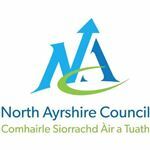 Many of the jobs you'll find will be posted by NHS Ayrshire and Arran. The Arran War Memorial Hospital is at Lamlash. From staff nurse, to dietician or healthcare support worker, you'll be sure to find the right role for you. If you can’t find what you’re looking for this time around, be sure to save your CV so you can apply with ease when you do find the perfect opportunity on the Isle of Arran.